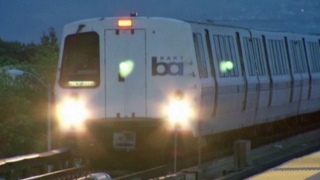 Three female juveniles have been arrested this week for allegedly committing a battery on a passenger at the West Oakland BART station in February, BART police said Friday. Four teenage females punched another female passenger in the head multiple times aboard a train at the West Oakland Station at 9 p.m. on Feb. 27, transit agency police said. The victim reported the incident to BART Police the next day and the case has since been under investigation since then, authorities said. BART police detectives were able to identify all four suspects based on the victim's account and with assistance from other witnesses, including a station agent who saw the suspects run out of the station, according to police. Three of the four female suspects were arrested this week, the first on Wednesday, the second on Thursday and the third today, BART police said. There is an outstanding warrant for the fourth female juvenile suspect and BART police said she is expected to be taken into custody soon. "Our detectives are actively working these cases involving juveniles: issuing warrants and making arrests," Acting BART Police Chief Jeff Jennings said in a statement. "We've increased patrols and police presence and we've kicked off a regional taskforce to address the increase in crimes committed by juveniles at BART and in the cities we serve," Jennings said. The three female juveniles have been booked into Alameda County Juvenile Hall on a charge of battery resulting in great bodily injury, BART police said.